Why Join Our Accompanied Group Tours? If you want to sample a classic slice of rural England with some impressive coastline thrown in, Dorset is for you – perfect for a quiet country escape. 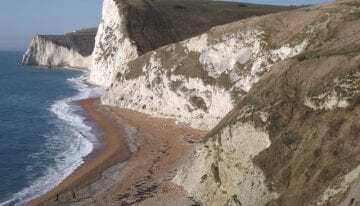 Find fossils on the beaches of the Jurassic Coast, a World Heritage Site with 95 miles of stunning coastline, hidden bays, sandy beaches and crumbling cliffs, and drink ale in ancient inns once frequented by smugglers. Inland, Thomas Hardy’s lyrical landscape offers the largest, most complex Iron Age hill forts in Europe at Maiden Castle, rude chalk figures at Cerne Abbas, fairy-tale castles and must-see stately homes. 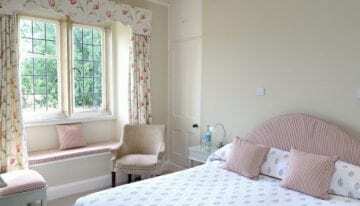 Stay for four nights in a fabulous country house hotel, renowned for its warm hospitality, superb food and wonderful cocktails. May be subject to change. 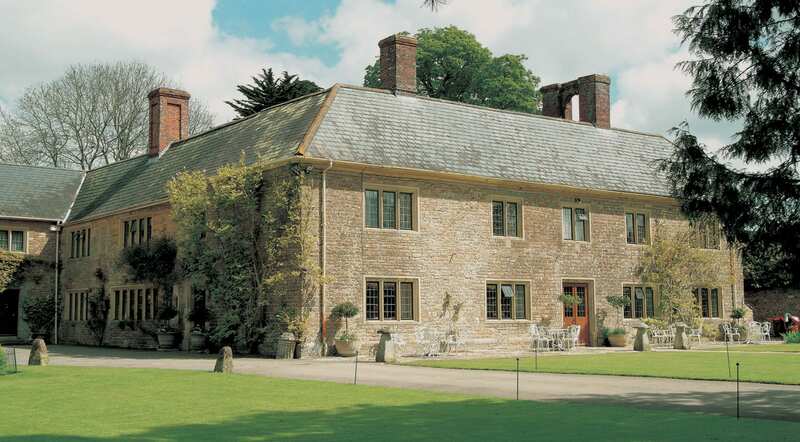 Make your way to Dorset to check-in at the beautiful country house hotel that is your base for the next four nights. A circular tour to Dorset’s Jurassic Coast. 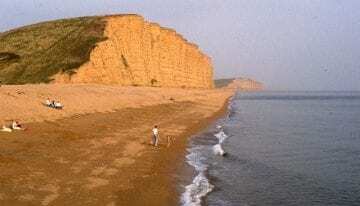 It’s a beautiful and scenic drive down to Bridport and West Bay at the western end of Chesil Beach. The coast here is also known as the Dinosaur Coast due to the number of fossils to be found. At Abbotsbury visit the subtropical gardens or the famed swannery before continuing on to Weymouth and the Isle of Portland. Head north to the county town of Dorchester, taking the opportunity to visit Maiden Castle, the largest and most complex Iron Age hill fort in Europe. Dorchester is also home to a number of interesting museums. 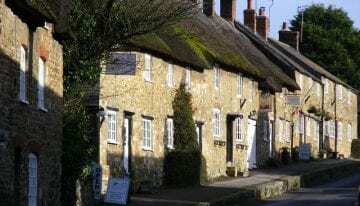 Drive past the famed Cerne Abbas Giant chalk figure, cut into the hillside for all to see. Then return to the hotel for dinner. Head west starting with the lovely town of Sherborne, famed for its abbey, school and castle. Visit Forde Abbey and then cross into Devon and the Blackdown Hills, an Area of Outstanding Natural Beauty. Head for the coast at Axmouth, then the historic resort of Lyme Regis, known as the Pearl of Dorset. 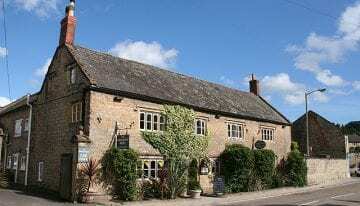 The route turns inland to the delightfully picturesque town of Beaminster then winds across beautiful scenic countryside back to the hotel. 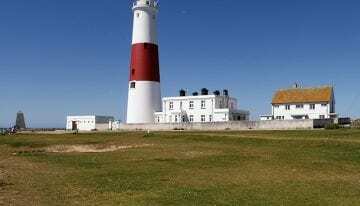 Explore the eastern part of Dorset today. Head to Blandford Forum, where there is the possibility to visit the Royal Signals Museum. 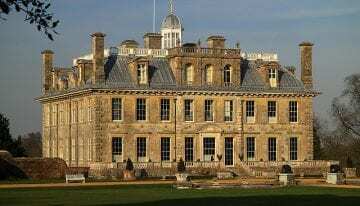 Then continue to the magnificent Kingston Lacy, an elegant & lavish country mansion, built to resemble an Italian Palace, set in attractive formal gardens and parkland, now in the care of the National Trust. 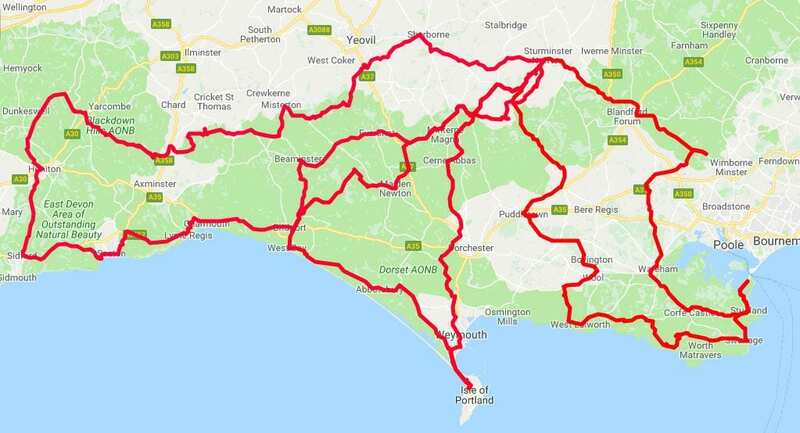 The route continues down to Wareham, on the edge of Poole Harbour, and onto Corfe Castle, one of Britain’s most iconic survivors of the English Civil War, also under the care of the National Trust. Drive to Studland, with its superb beach and perhaps stop for lunch at the renowned Pig on the Beach. 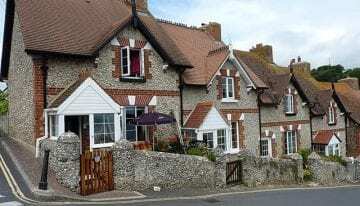 The journey along the coast continues westwards, visiting Swanage, Lulworth with its castle and cove, then along to Durdle Door, the famous cliff formation. 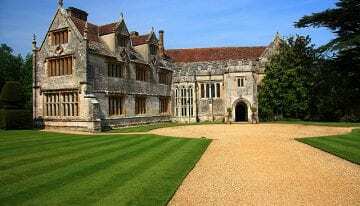 On the way back to the hotel, visit the excellent Bovington Tank Museum and/or Athelhampton House, one of the finest 15th Century manor-houses and is surrounded by one of the great architectural gardens of England. After a good English breakfast depart for home at your leisure. 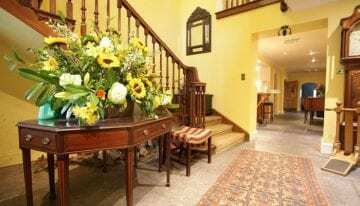 A Jacobean country house, still owned by the family that built it over 400 years ago and now run by them as the archetypal, luxury, country house hotel. The family will make you feel very much at home, indulge you with fine food and fabulous cocktails, whilst you relax in this idyllic location, surrounded by beautiful gardens. 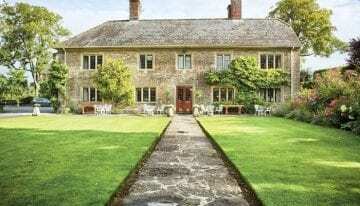 Situated in one of the most beautiful parts of Dorset, in the heart of Thomas Hardy’s ‘Vale of Little Dairies’, yet also ‘far from the madding crowd’, it’s an ideal base to explore glorious Dorset. We will contact you directly for more details after you make your initial enquiry. Classic Travelling was established in 2003 and offers classic car tours, motoring holidays and driving vacations for classic, vintage and sports cars of any age. We have extensive experience of touring and motoring, and offer both escorted, small-group tours and independent self-drive tours taking in some of the finest roads in Europe, North America, and South Africa. Please take a moment to subscribe to our newsletter.